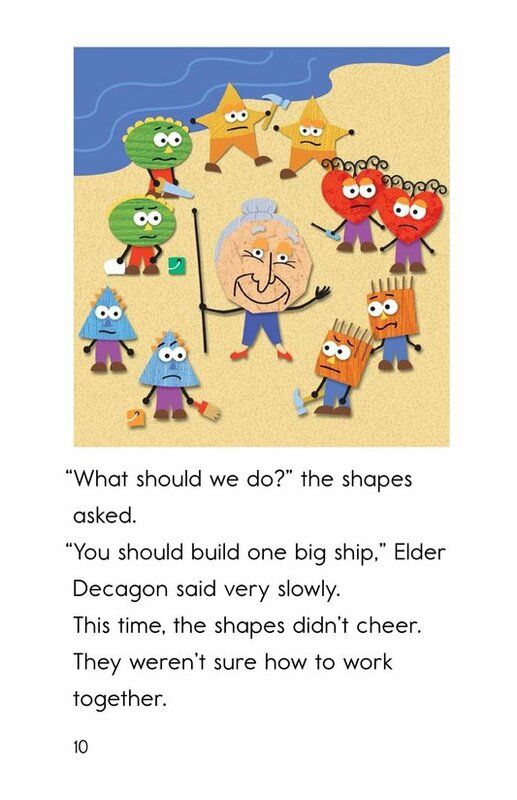 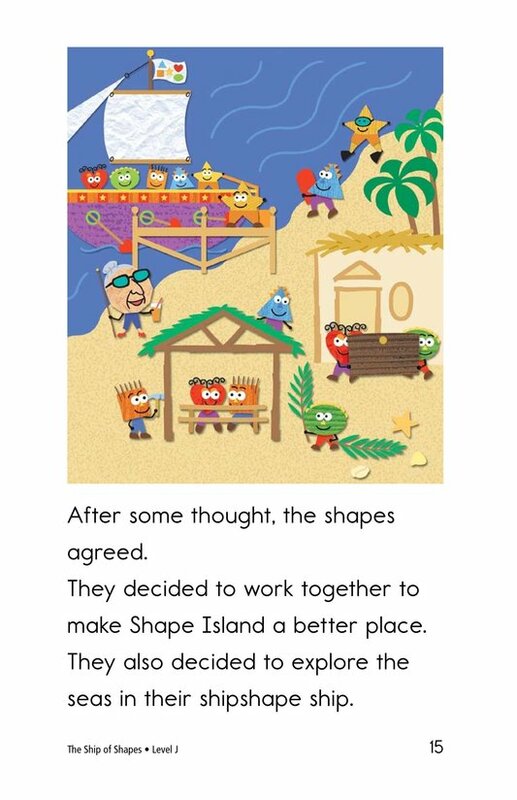 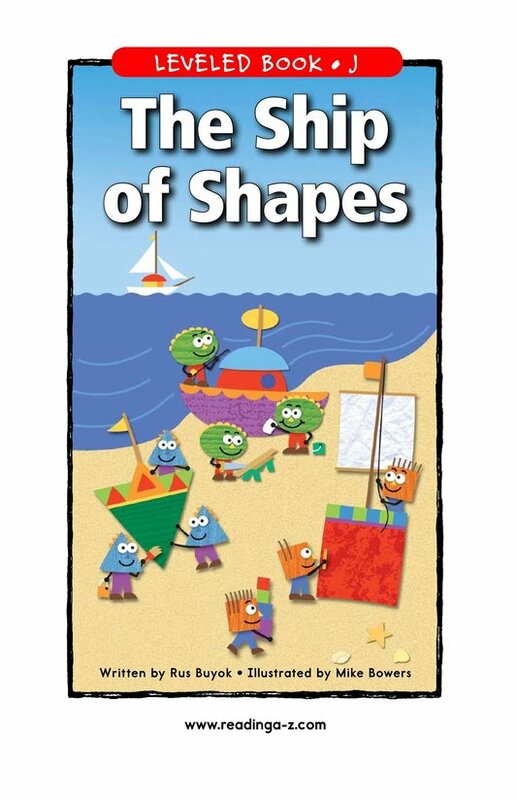 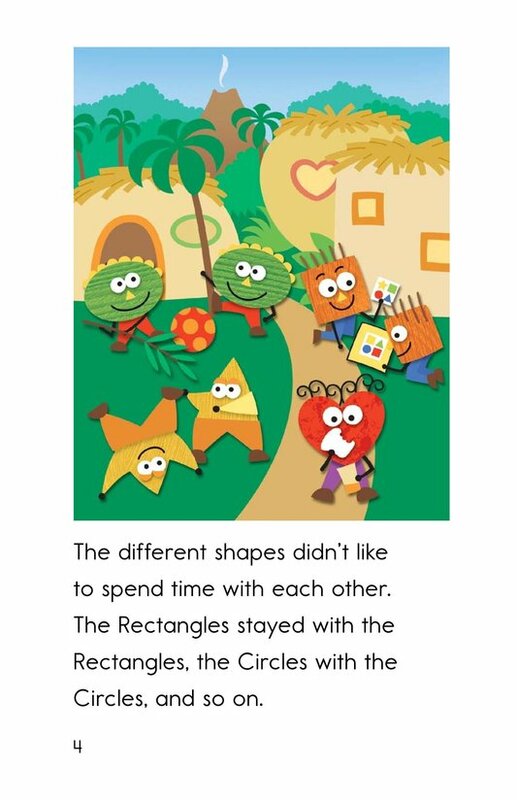 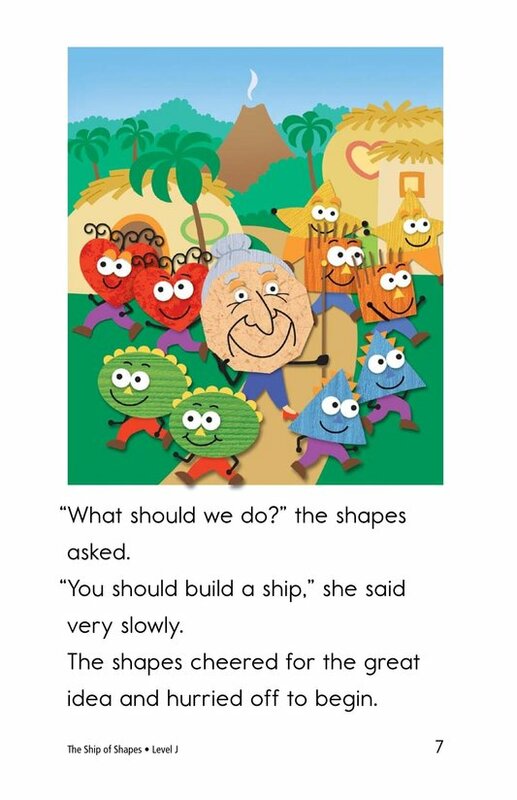 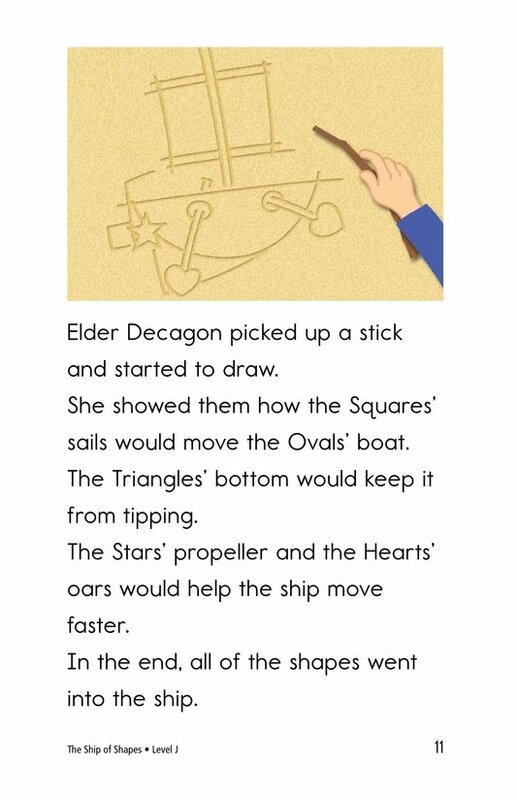 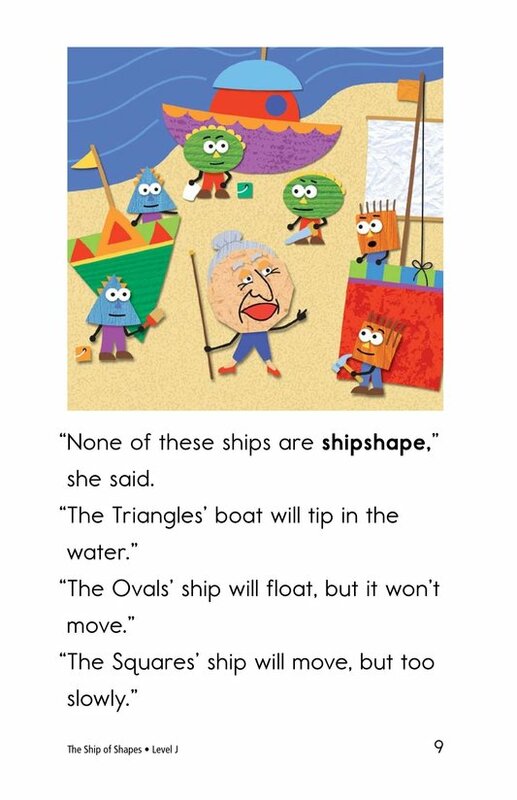 The Ship of Shapes combines shapes and a silly story to teach students the benefits of cooperation, accepting others, and being active. 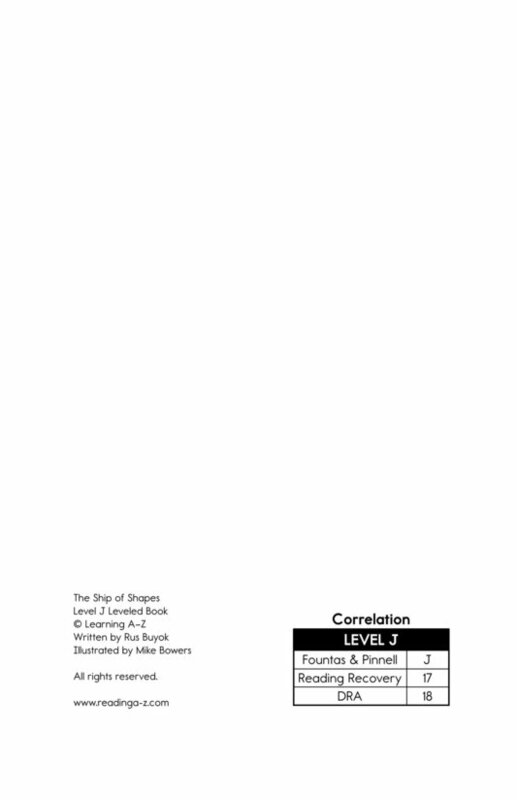 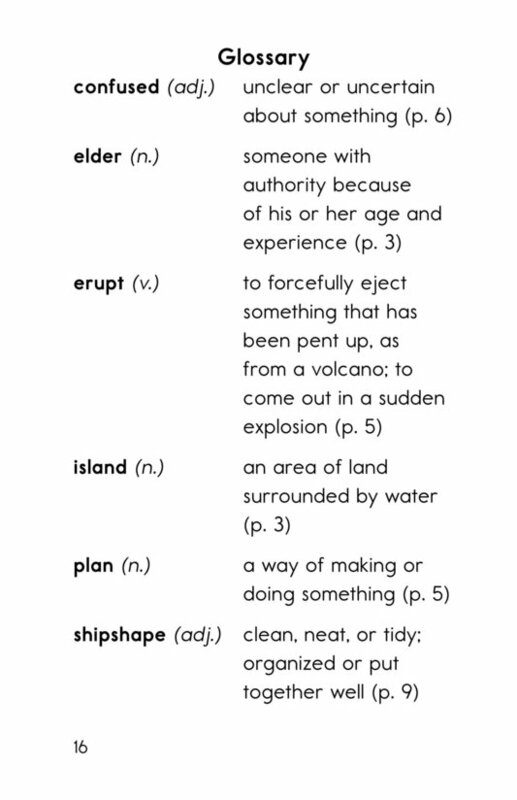 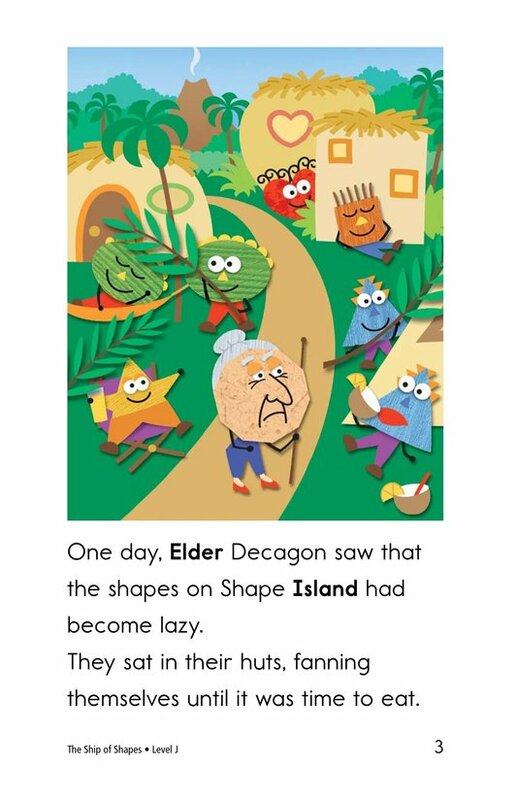 In this fantasy, a village elder lives on Shape Island with many different kinds of shapes. 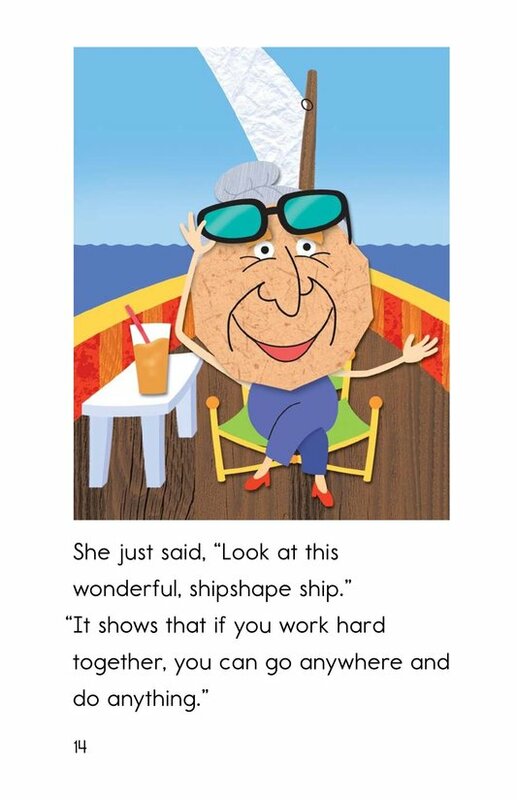 When she notices the shapes have become lazy and don't interact with each other, she finds a way to motivate them all to work together. 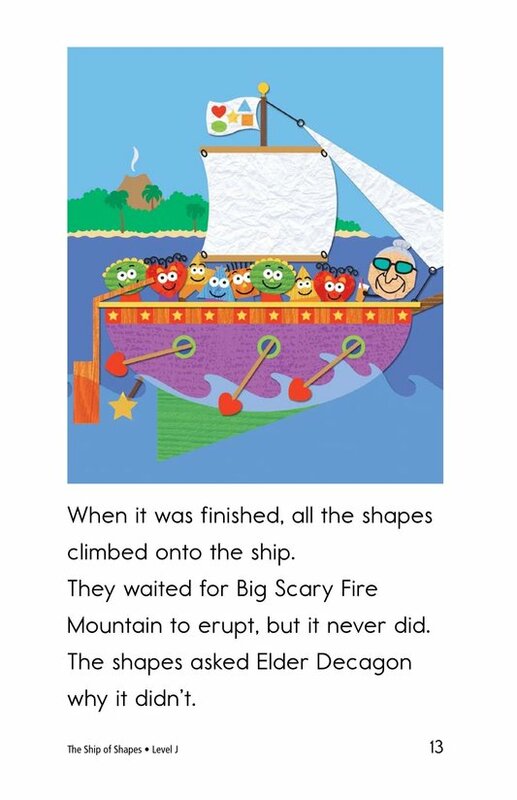 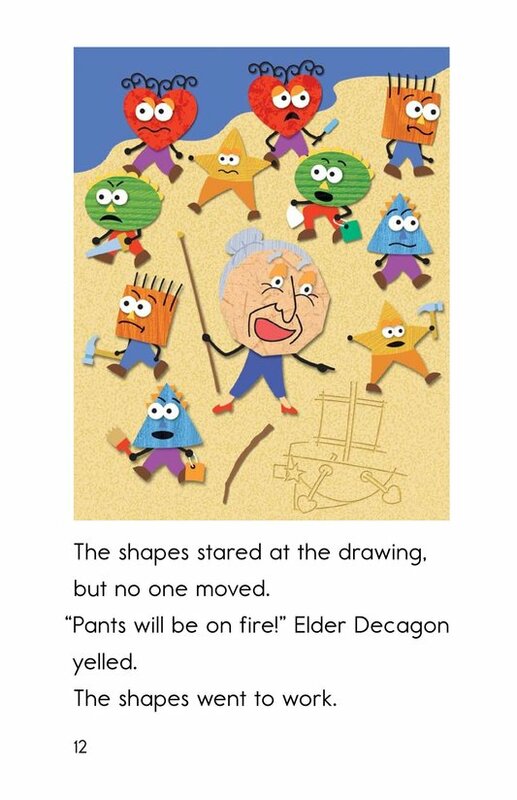 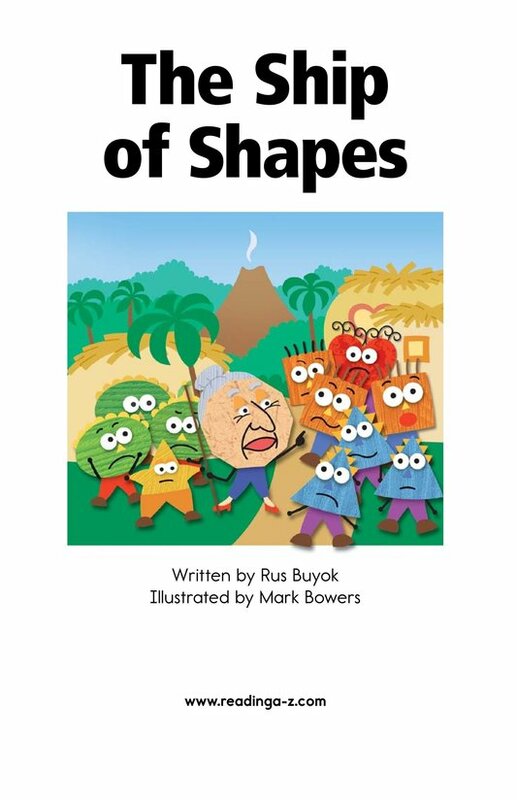 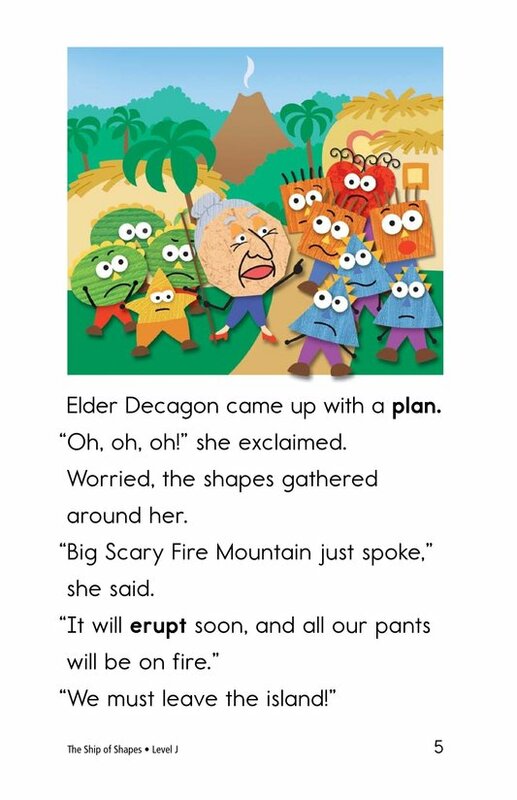 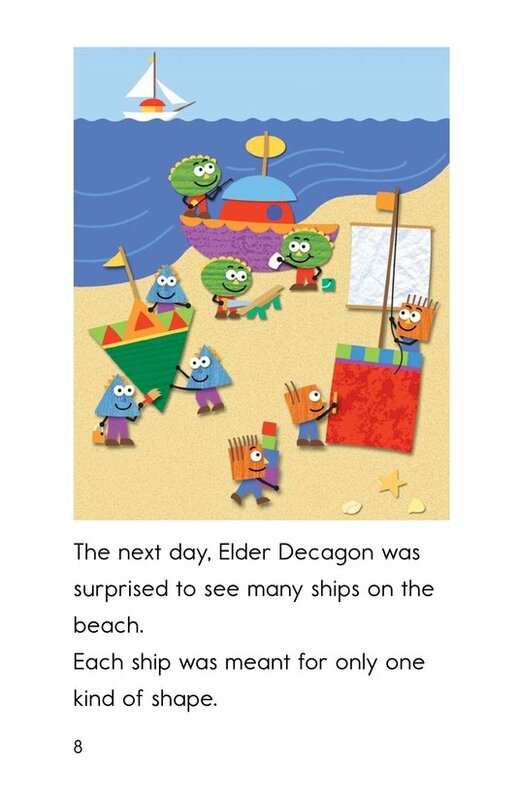 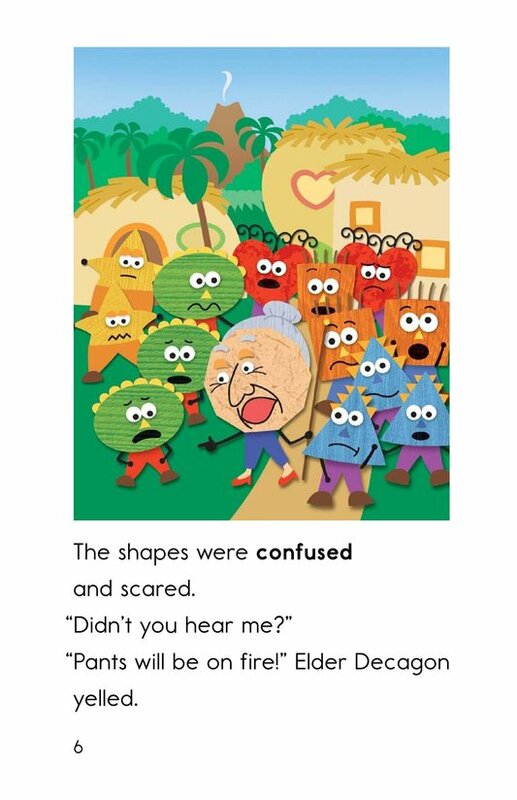 This book uses colorful pictures to add to a humorous story and offers opportunities for the emergent readers to learn about cause and effect, alliteration, and pronouns.